When he arrived in the United States as a teenager, Eduardo Ramos had never attended school. But when he found work with a grape grower in California, Ramos received on-the-job training in farming and viticulture. 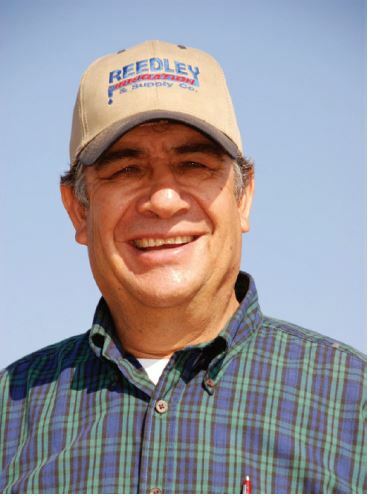 Over the next twenty years, Ramos saved enough money from his job as a farm manager to acquire several parcels of land in San Joaquin County. He eventually developed his own business growing Thompson seedless grapes, which he dries into raisins. When Ramos first began farming his land, he flood irrigated all of his vines. He learned about drip irrigation from a friend who worked at an irrigation parts supply company. Ramos worked with his local NRCS (Natural Resources Conservation Service) office to design a drip irrigation system. Their EQIP (Environmental Quality Incentives Program) was able to help cover the initial costs of installation and materials. Since then, his 80-acre operation uses 34% less water to grow grapes. He has saved money on water, and also labor in terms of weed management. He takes fewer passes with the tractor as a result, which also means less dust and better air quality. Continual changes in water supply costs affect how farmers manage their irrigation systems. 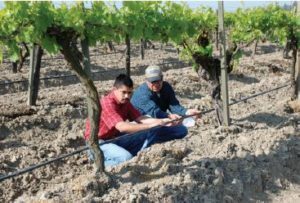 California farmers need more information about the actual effectiveness of water conservation techniques to be able to determine whether they are meeting their water use efficiency, crop production, and economic goals. Many farmers, like Eduardo Ramos, know they can contact their local Resource Conservation District (RCD) and USDA Natural Resources Conservation Service (NRCS) Field Office to obtain technical and/or financial assistance. There are federal, state, and local programs available to growers throughout California looking to meet their water conservation needs. A federal program that has been heavily utilized by irrigated cropland farmers is the Environmental Quality Incentives Program (EQIP). The purpose of EQIP is to help producers meet federal, state, tribal and local environmental regulations. EQIP is a voluntary program that provides financial and technical assistance to agricultural producers through contracts. The contracts deliver financial assistance to help plan and implement conservation practices that address natural resource concerns. Additionally, they offer opportunities to improve soil, water, plant, animal, air and related resources on agricultural land and non-industrial private forestland. 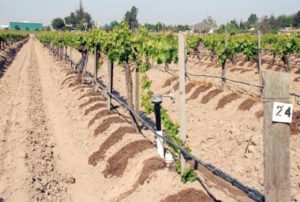 Some farmers throughout California have access to Mobile Irrigation Laboratories. These, often free, services are made available by their local Resource Conservation Districts with program funding typically coming from the California Department of Water Resources (DWR). These Mobile Labs evaluate the performance of a farm’s irrigation systems. The laboratories measure water application rates and system distribution uniformity and also offer recommendations for irrigation system improvement. Farmers and ranchers require up-to-date scientific information and techniques to manage the natural resources on their properties. In addition, the necessity for ongoing conservation education and assistance among all sectors of the public is as great or greater than ever. Many Resource Conservation Districts (RCDs) offer a set of programs to provide assistance to landowners wishing to conserve soil and water, and manage their resources on a sustainable basis. RCDs act as a focal point for local conservation efforts and serve as leaders in the conservation community.